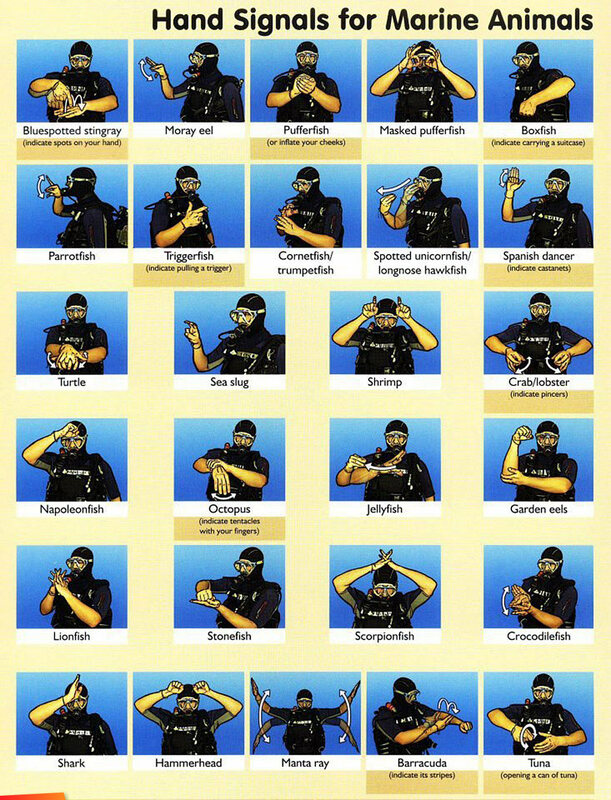 Unless you invest in the fancy full face mask and U/W comms system, you are probably using hand signals? But, just like different languages, hand signals may get a bit confusing and the last thing you need is to send out mixed signals. 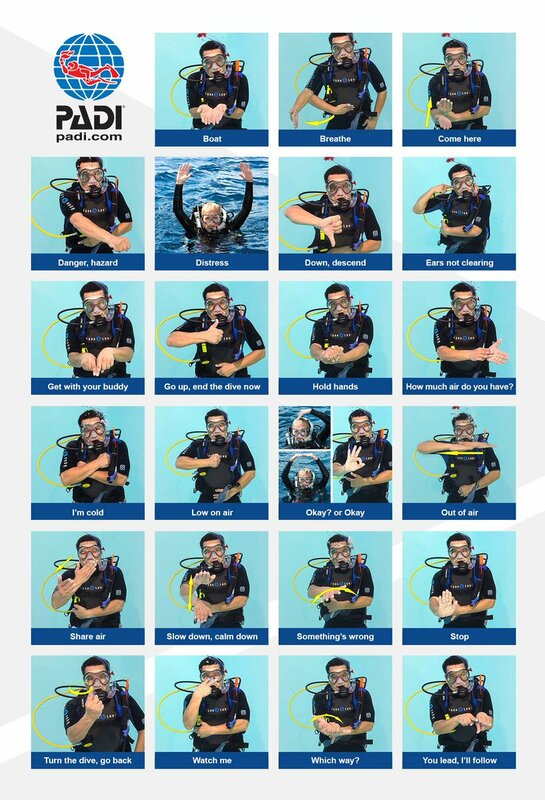 So lets review some of the basic signals right from the Open Water Dive Manual. Here are some for Marine Life. 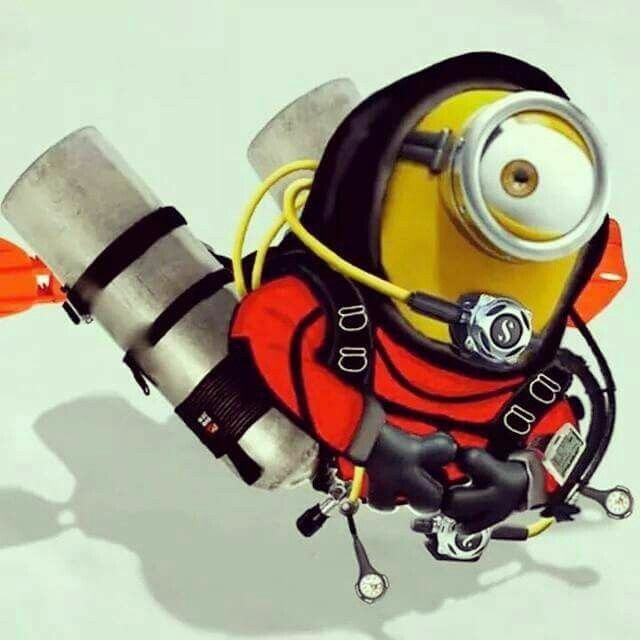 As we begin the summer dive season be sure to refresh on you signals and before every dive brief your buddy on any special signals you may use. That way when you give them some weird signal, they don't look at you like a confused minion.